My partnership with the Green Cup Polo began last year. But Evelyn Brooks Designs has been part of the Green Cup Polo for already four years. It all started in 2008 when Evelyn Brooks Designs donated a piece of jewelry to support the efforts of the Green Cup Polo. Then in 2009 we came back to participate as one of their vendors during the main event and at that point the organizer/event planner and myself were already talking about the possibility of designing a customize piece of jewelry that would help raise funds for the Green Cup Polo. This proyect did not happen until November of 2009 when we started the process and creation of the Green Cup Polo bracelet. 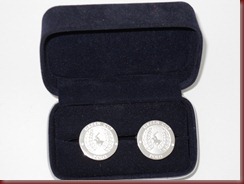 The final piece was ready by February of 2010 at that point we thought it would be a great idea to add cufflinks to the Green Cup Polo Eco-Sustainable Jewelry Collection. Evelyn Brooks Designs supports the efforts of the Green Cup Polo initiative of preserving our world while working with eco friendly materials to create a final product. It has been a wonderful experience and partnership. Last year Evelyn Brooks Designs was also invited to be part of the Eco-Fashion Show accesorizing the georgeous models. During last year pre-events and the main event we were selling the Green Cup Polo bracelets and cufflinks with proceeds benefiting them. Lots of guests were proudly wearing their new jewelry pieces. Tickets are on sale NOW – GET YOURS! 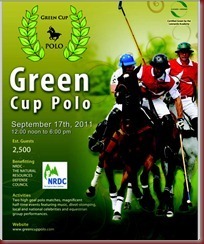 COME OUT & SUPPORT THE EFFORTS OF THE GREEN CUP POLO 2011 this year benefiting the National Resources Defense Council. 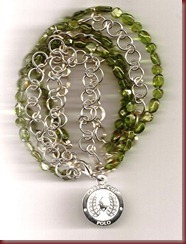 You can also support The Green Cup Polo 2011 buying the bracelet and cufflinks. <img src="http://lh4.ggpht.com/-MnYWWkjm5j8/Tm6m8XxMl0I/AAAAAAAABG0/U2-ttgYdmiI/videoa3e2ee96f6ec%25255B8%25255D.jpg?imgmax=800" style="border-style: none" galleryimg="no" onload="var downlevelDiv = document.getElementById('d89ac098-f4c3-44ac-b094-208b7f268fbf'); downlevelDiv.innerHTML = "